Not just homes but families..
Fihankra Village is to be built near East Akyem in the Eastern Region of Ghana. 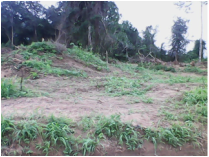 The land in East Akyem ! To most Fihankra appears to be a piece of land in Ghana, West Africa - however if you venture closer you will find construction work well under way- building the first house in what will soon be a wonderful village providing home to some of the many orphans and vulnerable children, including street children, in Ghana. Alongside foster homes there will also be training facilities and eventually a clinic . 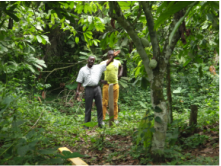 The aim is to ensure that the residents of the village are able to farm and trade and remain well ! You can help this dream become a reality ?